How to check Mutual Fund Portfolio Overlap online? My article on Best Equity Funds is one of the most popular articles on Relakhs.com. I have been receiving lot of queries on how to compare and select the best Equity oriented mutual funds. I have noticed that many investors prefer to invest in lot of funds to achieve diversification. Too many funds, especially from the same Fund category may lead to unnecessary ‘Portfolio Overlap’. Two seemingly different mutual fund schemes can own the same set of stocks. In such a scenario there is no real purpose of holding two funds. Portfolio overlap leads to redundancy. In this post let us understand – What is mutual fund portfolio? How to check the portfolio of stocks owned by your mutual fund? What is Mutual Fund Portfolio Overlap? How to compare and check mutual funds portfolio overlap? How to know common stocks owned by two or more funds? Which are the best and free online mutual fund portfolio overlap comparison tools? What is Mutual Fund Portfolio? A mutual fund is an entity that pools the money of many investors (unit-holders) to invest in different Financial Securities. These investments may be in shares, debt securities, money market securities or a combination of these, as per the fund’s investment objective. Equity or Balanced (Hybrid) funds primarily invest in shares of companies. Whereas, Debt mutual funds invest in Fixed income securities. How to check the Portfolio of Stocks owned by a Mutual Fund Scheme? You can find the portfolio details of a mutual fund scheme on respective Fund House website (or) on online portals like moneycontrol.com or valueresearchonline.com. Key in ‘HDFC Top 200’ (or your fund scheme name) in the SEARCH bar which is available at the top of the page. Click on ‘Holdings’ under ‘Portfolio’ option (available at the left side of the page) to know about the list of stocks owned by this fund. What is Mutual Fund Portfolio Overlap? Mutual Fund Overlap occurs when you own two or more mutual funds that may have similar investment objectives and therefore hold many of the same securities. Let’s say you would like to invest in Fund ABC and also in Fund XYZ. After checking their portfolio holdings, you find that Fund ABC owns three companies’ stocks i.e., Infosys, TCS & SBI and Fund XYZ has invested in Infosys, TCS & Reliance. Here, you could clearly see that there is too much of a portfolio overlap. Both the funds have invested in Infosys and TCS shares. These are the common stocks owned by both the funds. As an investor, you don’t want too much of an intersection between the circles- you want the least amount of overlap possible. You may use the below Mutual Fund Portfolio comparison tools to analyze the extent of portfolio overlap among the holdings of your mutual funds. Equity Mutual Fund Portfolio – Overlap Checker – This tool (MS Excel based) has been developed by Prof. Pattabiraman of freefincal.com. As of now, the Beta version of this tool is available. This Equity MF Portfolio comparison tool fetches the data from moneycontrol.com. At a time, you can compare the portfolios of three mutual fund schemes. Click here to download the Overlap Checker tool. Mutual Fund Portfolio – Overlap Analysis Tool – This is another very popular excel-sheet based tool developed by Prof. Pattabiraman. This tool extracts data from Valueresearchonline.com. Online Portfolio Overlap Tool – This online tool is available on thefundoo.com website. You can compare the portfolio holdings of two mutual fund schemes online. Click here to use this online tool. 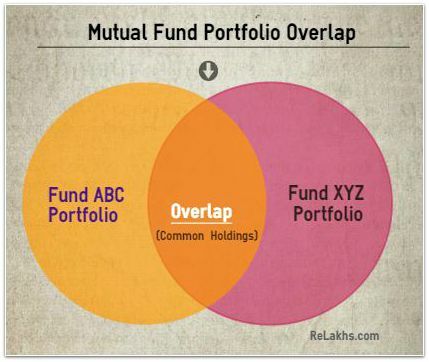 Why & How to avoid Mutual Fund Overlap? You may not achieve true ‘Diversification’ just by investing in too many mutual fund plans. You may be surprised to learn that many of your mutual funds overlap. There can be a real danger in mutual fund overlap, and you may not be as diversified as you think. Having your mutual funds overlap with one another is not the end of the world. When you are comparing the portfolios of two mutual fund schemes, there will definitely be some overlap.. The real issue is the extreme case where you own several mutual funds in the same fund category, investing in the exact same stocks. You run the risk of not being properly diversified in your investing portfolio. Better diversification can lead to ‘downside protection’ and ‘controlled volatility’. Diversification ensures that if one sector had poor performance, or one stock within a sector struggled, your entire investment kitty doesn’t go down the drain. It is advisable to understand the type of investing objective of each mutual fund that you own (or planning to invest) and consider spreading out amongst large cap, mid cap, and small cap mutual funds. Also, it is better to avoid the owning too many funds managed by the same fund manager. You may use the above tools when choosing a mutual fund to avoid portfolio overlap. What is Portfolio Tracking and Why Should I do it? The listed funds are decent choices. May I know your investment objective(s) and time-horizon.. Objective is to have good returns from 3-4 yrs onwards… like atleast 12% PA…. Should i stick on with investing in these thru SIP still? Do you need to withdraw these investments 3 years from now? Not really. I will stick with them for years but i would want to see returns and may want to encash the returns from year 3 onwards Sree. I’m done with year 1 of investing btw..
You may reduce your exposure to Small cap funds (Franklin & L&T) and divert the allocation to an Hybrid fund instead. Brilliant !! I didn’t know people have created overlap-finder. So useful!! Bless you all for sharing freely your knowledge and expertise. Thank you for this lovely article, Sreekanth! Btw I’d like to share with you that there are times when I’ve deliberately chosen funds from two different AMC’s around the same theme. This is my “research” – real data which I can use to come to my own conclusions for e.g. expense ratios and effect on returns, turnover and effect on returns. Dear Roshni ..Yes, all of us are overloaded with plenty of info..how we are going to use and comprehend it is what matters! Hi Sreekanth, thanks for articles on all these tools …I was not even aware of these! May I ask how much of portfolio overlap is an accepted norm. I compared few large cap funds and they all seem to have atleast 40% overlap and few as high as 58% overlap .So i was confused. Though overlap is a good analytical tool, its not the deciding factor when shortlisting a fund. There is no rule of thumb, but let’s say if overlap is as high as 60%, there is no point in adding multiple funds to ones portfolio. Also, note that the funds’ portfolios change over a period of time, but we cant keep churning our MF portfolio based on Overlap indicator. We can pick 2 to 4 good funds based on financial goals and just keep track of them. Its very nice blog. Very Informative. I need to invest in tax saving fund plus long term inverstement atleat for 10 years. For starting I filter following MF based on varius articale. Let me know which MF I need to choose. I am planning to invest 1 lakh rs per year. Above two has around 40 % overlap portfolia. Are you planning to pick multiple ELSS tax saving funds only? For now, my main objective is to invest in ELSS as I have to put 1lakh to fill my 80c bucket. Is it good to invest in multiple ELSS or in one. Read: Why one needs to THINK beyond taxes! Tax saving is an added advantage of a fin product. Suggest you to identify your financial goals and map fin products as per your requirements. You may consider : Franklin Tax shield & Birla Tax plan. Read : Best equity funds. Actually am doing an analysis on American Depositary Receipts(ADR). We do have several funds holding these ADR’s. Apart from portfolio overlap, can i perform some other analysis like country overlap, sector overlap. Would that be useful for investors and whether the funds have the same objectives and how to do that. What other research can be done apart from the above to help investors in their investment? Dear kaviraj ..I am not very well versed on ADRs. I am new to investments and I would like to invest on Mutual Funds. My objective is to do tax saving along with some good returns and tenure is for 3 years. Could you please suggest me on which firm I can invest, 1 or more ? ELSS funds can be considered, but suggestion is to remain invested for atleast 5 years or so. Ex – Franklin tax shield or Axis LTE. Read : Best ELSS funds. I’m planning to invest 3000/- in Axis Long Term Equity Fund and another 3000/- in Franklin India Taxshield in order to save income tax . Let me know if I have chosen the right funds to invest ?? Any other options if you can suggest ?? Dear srikanth..Kindly go ahead…Read: Best ELSS funds. AXIS and FRANKLIN has an overlap of 21% and this includes one of the top holdings (HDFC) for both (8 %)..
Will it be a good idea to have them together at the same time ? Even I was thinking to invest in both. Dear Priyadarshi ..May I know the MF scheme names? AXIS long term equity G and Franklin India taxshield.. If your main objective is long-term and some tax savings, you may invest in both of them. But if one of your objectives is not to save tax, its better to invest in regular diversified equity fund. Can you share some information about the fund Religare Invesco Dynamic Equity Fund – Direct Plan? I saw ET that it is one of the good fund. Will you recommend to invest in this fund? It is a typical Large Cap Fund. There can be plenty of good and consistent performers. If you are convinced with its past performance, kindly invest in it. Looks like it has LOW risk grade and ABOVE AVERAGE return grade. May I know your investment horizon? Read: Best Equity funds 2016. Wow, what a blog ya?? soooo much information. Great service!!! I saw the online tool to identify the MF overlap. Till what percentage of portfolio overlapping we can consider it is ok to invest. Please advise. There is no thumb rule as to what % of overlap is acceptable. If say overlap is as high as 75%, its better to drop one fund out of the two. Hi Sreekanth . I am planning to invest money in mutual funds to save tax and get some benefit out of it .I am ready to take risk but not very high risk . I am looking to invest the around 1 lakhs per year overall (divided among different funds) for a period of 10-15 years . Can you please suggest on how to proceed with it ? I also have one more question . 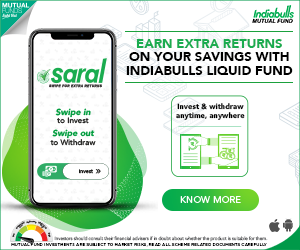 Does investing in mutual funds helps me in tax savings ? FYI . I am very new to it and any suggestion will be appreciated . Kindly read: Best ELSS funds 2016. I believe that there are better funds than the two mentioned here. If you have active SIPs, you may continue with Birla fund. Read: Best Equity mutual funds. I would like to invest a lump sum amount of 2.5 lakh INR. my investment horizon is 10 years. Following the initial lump sum i would like to do SIP of INR one lakh rupees/month again for a horizon of 10 years. May i please kindly request you to suggest appropriate mutual funds for my above mentioned plans. You may pick one equity diversified fund + One mid/small cap fund + a small portion in a balanced fund. Ex- Franklin prima plus + HDFC midcap opp fund + TATA balnced fund. Best Equity mutual funds 2016. Excellant article. I have started doing SIP from 4 months. I am investing 5000/- in each monthly. want to invest for 15 yrs. What do you think. Should i change any fund.pls have a look and suggest. You can continue with your investments. Best equity funds for 2016. I am going through overlap calculator at thefundoo.com. Can you suggest what percentage of overlap can be considered good? There is no hard n fast rule for the % of overlap..Say if the overlap is 60% then it is better to drop one fund from the portfolio and pick another one (may be from a different fund category). you can read it as ; 14 common stocks, 26 (40-14) stocks as uncommon stocks in Fund A , 40 (54-14) stocks as uncommon stocks in fund B. You can also view % weightage of these common stocks in respective fund portfolios. Also please tell between SIP or lumsum investment in MF, which one is good?!? SIP or lump sum is based on your available resources and future goals. Both modes are equally good if your investment horizon is longer. Best ELSS funds for 2016.
i recently started to read your articles. i m 35 yrs interested in corpus building and i recently joined your world of MFs thru’ SIPs. i plan to build a corpus of 1c in 15 years and can invest 50000 pm.kindly suggest. Its our world of MFs 🙂 Everyone’s..
Why are you investing in 3 ELSS funds? It is better to reduce your contribution towards your PPF and invest more in equity mutual funds for long-term. Consider surrendering or making LIC policies as PAID-up. How to get rid off unwanted life insurance? Term plan Vs traditional plan. To know more about how to invest in Direct plans..kindly read my article on ‘Direct plans of mutual funds‘. Shortlisted funds are good ones. May I know your investment horizon? I want to invest money in some new company. Which is very newly in market. I want to take risk. Either their pay me out of thinking or i lose the money. How and where i get list of new company. In some real story i hear like wipro or some good company where people made lot of money due to his luck or may b hard work of entrepreneur. Plz suggest me. I wil thankful to u.
I can not advice you regarding this. You may stick to my earlier suggestions on MFs. You may choose two to three funds – one diversified, one mid-cap and one balanced fund for this. Ex : Franklin Prima plus, UTI mid-cap and HDFC Balanced fund. Kindly read : Best Equity funds. Hi Sreekanth, Great informative article. I have already started sip in below funds from 2015. Now, I want to invest extra 4000 pm in some midcap or small cap or Balanced fund(my age is 29). Please suggest one more good fund for long term(5 to 10 years) investment. I have selected “Franklin India Smaller Cos Fund-G”, but there is 30% overlap with HDFC mid-cap. Please suggest one good fund. Thanks. Is it good to invest in sip during bull/ bear? Dear Archana..Your financial goal(s), investment objective and investment time-frame are more important. Bull & Bear phases are part of investment cycles. A very informative blog . Dear Anitha..Kindly share details about your Financial goals, investment objectives/time-frame?? I am awaiting for your reply as soon as possible for my early mails. I am aged 41 years and ready to take to high risk in the portfolio management. I have invested in the below mentioned funds. I kindly request you to help me to analyse my portfolio and suggest necessary changes like removal and addition of portfolios. Also I kindly request you to help me how to avoid mutual fund overlap. Also advise me whether or not to invest in UTI Nifty and Sensex ETF,also can I purchase mutual funds thru online and which is the best. What is the reason behind investing in so many funds? What are your financial goals? What is your investment time-frame? Why is UTI AMC your favorite pick? I am a regular follower of your website. I want to congratulate you for sharing lot of information on wealth creation. I am 36 years old working professional relatively new in investment. I want to start SIP of ₹3000/- per month for 5 to 10 years. My investment goals are Child education and corpus for any emergency. Please suggest 2 to 3 suitable fund as per my investment goal and that will not overlap my portfolio. I initially have thought to invest 70% in balance fund and 30% in equity diversified fund. Please recommend fund names and your view point regarding this. Please let me know any other information you may require. For your further information I have unknowingly invested in few NFO MF in 2008 on dividend pay-out scheme. Name of the fund are furnished below. 3. Change to Reliance Vision Fund Div previously holding reliance natural resource Fund –Div ₹5000/- on date of purchase. 4. Change to Sundaram Growth Fund Div previously holding Sundaram Capex opportunities fund-Div ₹5000/- on date of purchase. 5. Change to Sundaram Infrastructure Advantage Fund – Div previously holding Sundaram India leadership fund –Div ₹5000/- on date of purchase. Above mention equity based fund I am holding till date. What is your recommendation? Thanks again, keep up your good work. Existing funds : Kindly redeem all of them . ICICI bluechip fund is good one but kindly opt for ‘growth’ option. Suggest you to read my artaicle on Top Equity funds and select one fund from equity diversified, balanced and mid-cap categories. Also, check out the percentage of overlap. Go through this article : Kid’s education goal planning. Do you have sufficient life & health insurance cover? Thanks for your prompt response and suggestion. I have gone through your article “Top Equity funds” for understand and selection of funds and visited Moneycontrol.com to compare portfolio holdings and percentage of overlap of selected three funds. Selected funds for SIP are stated below as per your suggested category. What is your suggestion regarding this if you have any other thoughts please let me know. I am bit confused to select between regular (G) plan and Direct Plan (G). I didn’t get any “Plan-A” option under TATA balance fund in moneycontrol.com. Frankly speaking I don’t think that I have enough Insurance coverage. Having personal LIC endowment Plan of Sum assured ₹300000/-(Three Lacs).Two lacks health insurance for me and family and Approx. 15 lac accidental death employee group insurance coverage, both are company provided. I have gone through the article on term insurance. Please suggest one which would be ideal for me or any suitable insurance plan which would cover me along with my family (wife & child). All the three funds are fine. You can opt for any one of the mentioned Term plans. After purchasing a term plan, you may discontinue your LIC plan and divert this money to mutual funds based on your financial goals. How to get rid of bad insurance plan? 1. Can I change the MF/SIP at any point of time? 2. Will it affect my returns? Waiting for your valuable suggestions in my mail. What is the name of the ULIP plan? Dear Archana..Why did you shortlist these three funds? Kindly share your views. Go through this article : Top Equity funds. I do share contrary views if it is required. But, will surely keep this in my mind and thank you for highlighting this point. 1 – Yes. So, it is better to invest in say one Large cap fund rather than investing in two Large-cap oriented funds. 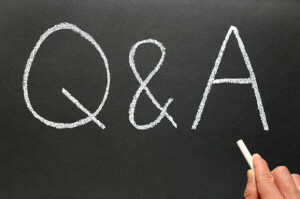 2 – Being conservative or aggressive, depends on one’s Financial Goals. If an individual is planning for long-term goals, he/she can’t be conservative. 3 – I did not get your point. I am a new but an ardent fan of your blog. and just recently I have actually started looking at my portfolio in more details. In fact I was just looking at two funds I have invested in (HDFC top 200 and HDFC equity) and was getting concerned that they seem so identical, and true enough they have 80% overlap. I have also invested i HDFC Prudence. Should I move my assets from top 200 to equity and prudence and mid cap opp instead? I was also wondering, that since balanced funds have a high expense ratio, does it make sense to invest in equity MFs separately and a debt fund instead of a balanced fund? Kindly let me know about your financial goal(s) and investment time-frame?? Very Nice article. Please keep going. 1.Excellent article on a very relevant topic. 2.How much of overlap is acceptable in the funds?? 3.It is unlikely that any two funds will have no overlap. There is no hard and fast rule. Say, if overlap is 80% then obviously it is a matter of concern. Personally I am ok with 20% to 40% overlap. Do note that the portfolios of MF schemes can change over a period of time. Please post a calculated real returns of any top performing MF ,after taking in all the charges like entry load ,depository fee etc. Very well said and explained. Thanks for the valuable info. Excellent Article. Now i realize i need to rejig my portfolio again. Thanks for posting.